planet manners: International: Are you a Bird Brainiac? (Or do you want to be?) Today, International Migratory Bird Day! Take the quiz. International: Are you a Bird Brainiac? (Or do you want to be?) Today, International Migratory Bird Day! Take the quiz. What bird that migrates to the Arctic has solid bones to make it a better diver? Take the Brainy Bird Challenge! What bird that migrates to the Arctic has solid bones to make it a better diver? 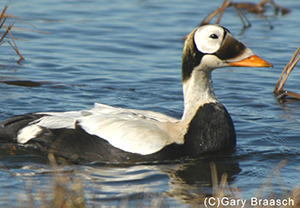 Do you know how the spectacled eider got its name? Today, International Migratory Bird Day, is the day to find these answers and more. Take our online Brainy Bird Challenge here! Birds migrate from all over our country (and the world) to America's Arctic to molt, nest and raise their young. In fact, some of Alaska's most astonishing wonders in the Arctic National Wildlife Refuge and National Petroleum Reserve-Alaska are so remote and pristine, few people know about them, and even fewer people visit. But unique wilderness values in both these places make both very special to countless bird species, bears, wolverine, caribou and other wildlife. Take the challenge here! If you answer all the questions, you'll be entered to win a beautiful hardcover "We Are The Arctic" book. As we write this, many birds are beginning their migration to the Arctic. Who knows, maybe one of them was just in your backyard? Even if you don't visit the remote landscapes of the Arctic, you might have witnessed a creature who has! Have a great bird day!